Nice post,I love playing the games on phone but read some interesting things about past games and enjoyed it. Great post! We used to have awesome croquet games as kids. I need to introduce my kids to the game. That “camp” croquet sounds like something I need to introduce to my next family event. We usually just devolve into trying to knock each others balls so we can wack them out of the way. You forgot whist (card game, in case I spelled it wrong) and billiards as period games. Good points! Billards was only for men, however. I’ll have to look up whist! Also forgot horse racing!! 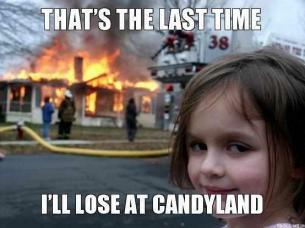 And my youngest cheats at Candyland too… and Uno, and Chutes and Ladders… and the list goes on.